Glenn Wakai is in his second term as a Hawaii State Senator, following eight years in the State House of Representatives. He is the current chair of the Senate's Committee on Economic Development, Tourism, and Technology, vice chair of the Committee on Public Safety, Intergovernmental, and Military Affairs, and is a member of the Committees on Human Services and Ways and Means. In 1991, Glenn began a career in television news by working as a reporter/anchor in Guam and Saipan. He later returned home to work for KHON-FOX2 and KHNL NBC 8. After 11 years in news, Glenn set aside his microphone to pursue his passion for public service. In November 2002 he was elected to the Hawaii State House of Representatives and was re-elected in '04, '06, and '08. Outside of the legislature, Glenn is President of a public relations firm, High Impact Communications. He also runs a non-profit organization, Reach out Pacific (REPAC), which takes surplus medical and educational equipment to Pacific Islands. 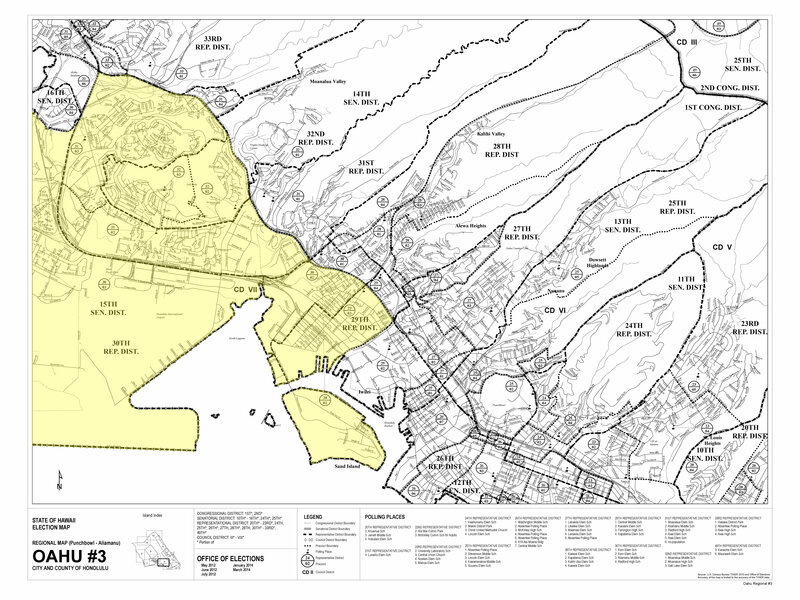 Glenn sits on the boards of Goodwill Contract Services, Japanese Cultural Center, Young Business Council, and MeneMac Media Advisory Board (Moanalua High School). Glenn is a graduate of Mid-Pacific Institute and the University of Southern California. 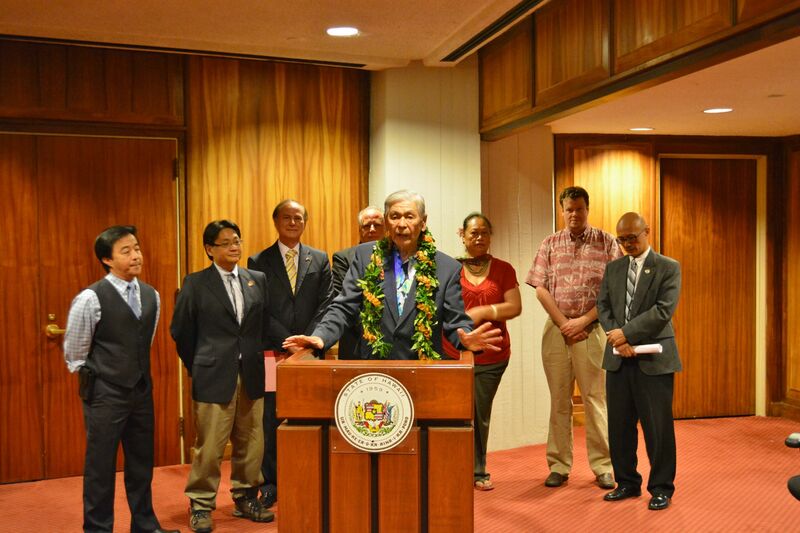 State Senate and House legislators today announced the formation of the Hawaii State Legislative Aerospace Caucus. Among the measures it has introduced this session are bills that call for studies for a space exploration research and development park; an international flight training center and associated aeronautical training programs at the University of Hawaii at Hilo and Hawaii Community College; and a laser optical communications ground station in Hawaii. Other measures call for the banning of unmanned aircrafts, except by law enforcement agencies, to gather information, and exempts from the general excise tax amounts received from the construction of a space launch facility in the State to help reduce the overall cost of such construction. The caucus is a joint bipartisan effort in collaboration with the private sector to develop a strong, secure and internationally competitive aerospace sector in Hawaii. It will be a highly visible, proactive and solution oriented organization ensuring academia, industry and government are in step with programs and policies which support a robust aerospace economic sector. The caucus is co-chaired by Senator Will Espero, Senator Glenn Wakai, Representative Angus McKelvey and Representative Gene Ward. The legislative membership also includes Senator Russell Ruderman and Representatives Isaac Choy, Cindy Evans, Richard Fale, Faye Hanohano, Sharon Har, Ken Ito, Derek Kawakami, Bob McDermott, Mark Nakashima, Calvin Say, Clift Tsuji. 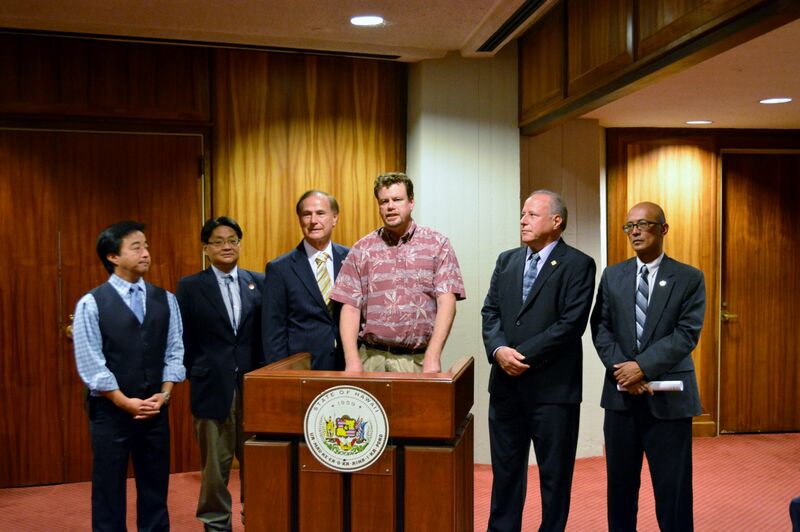 "This collaborative effort is a significant step forward in building upon the aerospace industry that we are establishing here in Hawaii," said Representative Angus McKelvey, Chair of the Consumer Protection & Commerce Committee. The group also includes the Aerospace Advisory Committee and Starlight Reserve Committee-advisory councils made of public and private space industry experts. 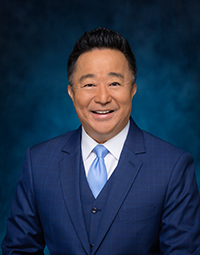 At the announcement, the founding charter members also voted to include former Governor George Ariyoshi, a member of the Pacific International Space Center for Exploration Systems (PISCES) board and champion for aerospace growth in Hawaii, as an honorary member of the Hawaii Legislative Aerospace Caucus. "Hawaii can be at the forefront of this industry by ensuring a strong, secure and viable aerospace sector," said Senator Will Espero, Chair of the Public Safety, Intergovernmental and Military Affairs Committee. "It starts by bringing together community members from the education, business and government sectors to help create good policy that will help us meet competitive challenges to support a robust aerospace economy." "Nothing ignites the imagination like space. Hawaii needs to boldly move forward into this area," said Senator Glenn Wakai, Chair of the Technology and Arts Committee, "There are many sectors in technology that can be replicated in other parts of the world. When it comes to aerospace, Hawaii is ground zero. This is an industry that cannot pick up and leave the islands. It provides infinite economic opportunities and will ignite exploration in the minds of our keiki." "Aerospace can be a game changer for our economy," said Representative Gene Ward. "One of the main purposes of the aerospace caucus will be to highlight those opportunities and promote legislation and regulation of an enabling environment." SB3092 | HB1967 Relating to Higher Education (Companion Bills): Appropriates $450,000 for a program coordinator and technical support staff member to complete the necessary planning required for an international flight training center and associated aeronautical training programs at the University of Hawaii at Hilo and Hawaii community college. HB2151 | SB2583 Relating to PISCES and NASA Laser Communications Ground Station Initiative (Companion Bills): Appropriates $500,000 for an engineering assessment of a proposal to establish a laser optical communications ground station in Hawaii. HB2150 | SB2584 Relating to PISCES Planetary Sustainability Technologies Initiative (Companion Bills): Appropriates $250,000 to support planetary sustainability technology demonstrations and university-based competitions. HB2152 | SB2585 Relating to PISCES (Companion Bills): Appropriates $1,500,000 to the Pacific International Space Center for Exploration Systems (PISCES) to support administrative and general tasks, strategic program initiatives, and the preliminary development of the PISCES Research and Development Park. SB2608 Relating to Unmanned Aircrafts: Prohibits the use of unmanned aircrafts, except by law enforcement agencies, to gather information and establishes certain conditions for law enforcement agencies to use an unmanned aircraft to obtain information. Requires all law enforcement agencies using unmanned aircrafts and the courts to report on their activities relating to unmanned aircrafts. SB2582 Relating to Unmanned Aircraft Systems: Requires individual consent or a search warrant to track an individual through the use of unmanned aircraft systems. Prohibits the repurposing of data without a search warrant. Prohibits unmanned aircraft systems from carrying weapons onboard. Requires the police departments to implement guidelines of the International Association of Chiefs of Police Aviation Committee. 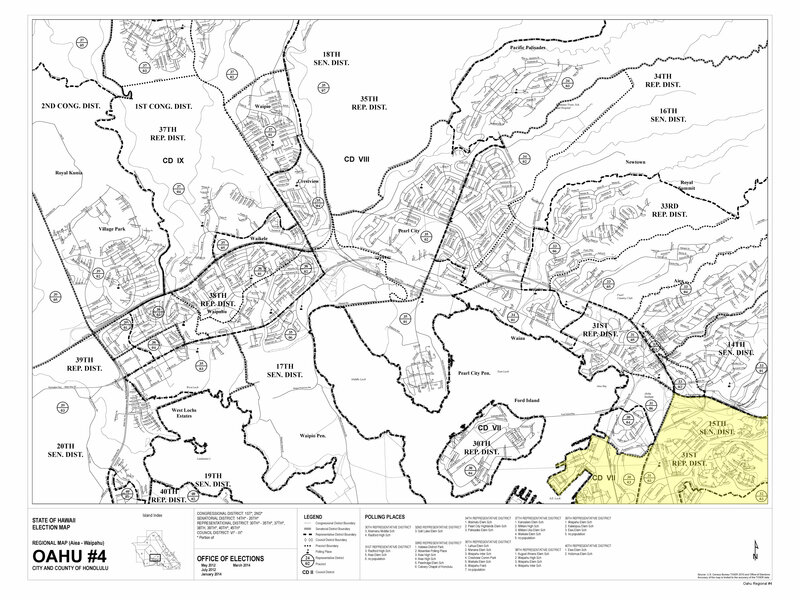 SB3053 Relating to Unmanned Aerial Systems Test Sites: Establishes the Hawaii unmanned aerial systems test site chief operating officer position to, among other things, serve on the Pan-Pacific Unmanned Aerial Systems Test Range Complex management team. Establishes an advisory board to oversee and manage unmanned aerial systems test site operations. Appropriates the funds to staff and operate Hawaii's unmanned aerial systems test site activities. HB2614 Relating to Taxation: Exempts from the general excise tax, amounts received from the construction of a space launch facility in the State. "Ensuring access and citizen and stakeholder participation is especially important when it comes to issues dealing with public education and our schools," said Senator Jill Tokuda, chairwoman of the Senate Education Committee. "Expanding our use of this type of technology to connect people with policymakers will only strengthen and enhance the quality of legislation produced." The Hawaii State Senate will launch its Statewide Videoconferencing Pilot Program beginning with the Senate Committee on Education's first hearing on Monday, January 27, 2014 at 1:15 p.m. and continue with hearings from both the Senate Education Committee and the Senate Committee on Technology and the Arts throughout the 2014 Legislative Session. "It's not uncommon for people to have to sit through a two-hour hearing just to speak for one minute on one measure," added Senator Glenn Wakai, chairman of the Senate Technology and Arts Committee. "If we can reduce the barriers to civic engagement by reducing the cost and time people spend to voice their concerns, we are on our way to creating a better Hawaii." During Monday's Senate Education Committee, lawmakers will take up two measures that address air conditioning in schools. The bills call for the creation of a master strategic plan for the cooling of public schools.